As befits a man initially identified as John Doe #7, very little is known about Cavanaugh. He was born in Canada on March 2, 1923, and lived in San Francisco. A photo that ran in the San Francisco Sentinel after his death shows that he was balding. He worked in a mattress factory. He was five-foot-eight and weighed 220 pounds. He was Catholic. “Never married,” wrote the coroner. Cavanaugh was the first victim in a string of homicides that, to this day, remain unsolved. From January 1974 to September 1975, The Doodler — or, as he was sometimes known, the Black Doodler, on account of his skin color — caught the eye of the Castro’s bar patrons by drawing caricatures and cartoons of them.1 Amused, flattered, perhaps titillated by the attention, man after man would leave the bar with their killer for a more secluded, intimate spot. Once they were alone, the men were stabbed and their bodies left on waterfronts and in parks. Forty years after the fact, the story of the Doodler killings has not been even cursorily told. Unlike cases with similar body counts — the Zodiac Killer and David Berkowitz, for example — this one was quickly forgotten. It was, perhaps, somewhat a matter of timing. When the killings began, it had been just a year since the American Psychiatric Association Board of Trustees ceased classifying homosexuality as a disorder. Most media outlets, just maybe, did not consider gay men sufficiently sympathetic to rate coverage. And then, four and half years after the killings ended, San Francisco’s own Ken Horne, a ballet school dropout, was reported to the Centers for Disease Control with Kaposi’s Sarcoma. Five murdered men would become, relative to what followed, a statistical blip. 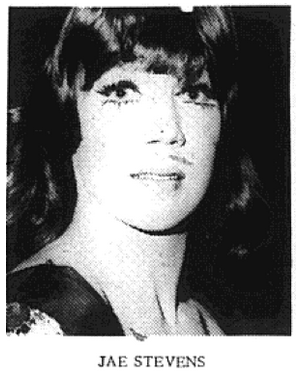 A woman, never identified, found a body at Spreckels Lake in Golden Gate Park on June 25, 1974. Joseph Stevens, nicknamed “Jae,” had been stabbed three times; there was blood in his mouth and nose. He was last seen the previous night, leaving the Cabaret Club on Montgomery Street in the North Beach neighborhood. Police theorized that Stevens himself had driven the murderer to the park. The 27-year-old was the Doodler’s second victim. But the San Francisco Police Department would not leave well enough alone. Officers Cornelius Lucy and William Gay, for example, practiced a creative form of entrapment. Officer Gay, as the Advocate put it, would “drive slowly through [Golden Gate Park] in a pickup truck and stop near a strolling male. Then he would stretch out…and show a bulging ‘basket’ in his tight Levis.” Once an advance was made, Officer Gay would make an arrest. Or worse. Lucy and Gay dragged Lawrence Candler from his car after a minor traffic incident and beat him so badly he suffered brain damage. Neither Lucy nor Gay were charged in the beating because Candler declined to file a formal complaint.6 However, a San Francisco jury eventually awarded Candler $264,500. On May 12, 1975 — nearly a year since the murder of Claus Christmann — the Doodler left another corpse; Frederick Elmer Capin, 32, was found by a hiker behind a sand dune between Vicente and Ulloa Streets. 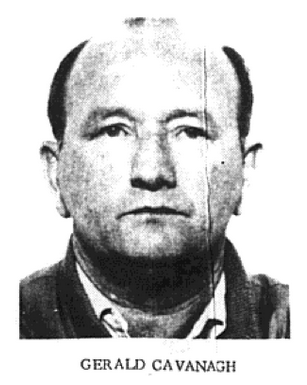 Capin — six-feet-tall and a lithe 148 pounds — was wearing a blue corduroy jacket, multi-colored “Picasso” shirt, blue jeans, brown socks, brown shoes and blue shorts. His jacket and shirt were blood-soaked. Of the three, only Chamberlin is still alive. “No comment,” said his manager. 1. The San Francisco Sentinel, “Doodler Suspects,” January 29, 1976. 2. San Francisco’s Lost Landmarks, James R. Smith. 3. The San Francisco Sentinel, “Finnocchio’s: about as respectable as the First Methodist Church back home,” September 21, 1974. 4. The Advocate, “Police suspect Gay–haters in series of stab murder,” August 14, 1974. 5. Interview, September 15, 2014. 6. The Advocate, “Man beaten by homophobic police gets court settlement,” December 18, 1974. 7. Interview, September 15, 2014. 8. The San Francisco Sentinel, “Reader identifies last of three victims,” August 9, 1974. 9. The San Francisco Sentinel, “Police investigating link in 3 recent stabbings,” July 26, 1974. 10. The Advocate, “Police suspect Gay–haters in series of stab murder,” August 14, 1974. 11. The San Francisco Sentinel, “Reader identifies last of three victims,” August 9, 1974. 12. The San Francisco Sentinel, “Off The Beat,” July 18, 1974. 13. The Advocate, “Views from enforcement officials,” January 29, 1975. 14. The San Francisco Sentinel, “SFPD pronounces us ‘unstable,’” October 9, 1975. 15. The San Francisco Sentinel, “Police retract anti-gay quote,” October 23, 1975. 17. The Advocate, “S.F murder could be the work of homophobes,” November 20, 1974. 18. The San Francisco Sentinel, “Murder unsolved,” May 22, 1975. 19. The Port Angeles Daily News, “Deaths and services,” August 15, 1975. 21. The San Francisco Sentinel, “SFPD Describes Suspect In Murder Cases,” November 5, 1975. 22. United Press International, “3 Attack Victims Won’t Testify in Unsolved Deaths,” July 9, 1977. 23. The Crusader, “Police Are Nowhere On “Doodler” Killings,” August 16, 1978. 24. The San Francisco Chronicle, “The Gay Killers,” January 20, 1976. 25. The Associated Press, “Murder suspect free because gays silent,” July 8, 1977. 26. 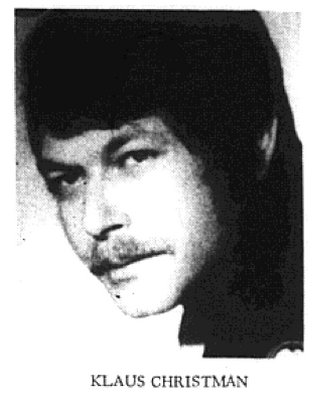 The San Francisco Sentinel, “SFPD Describes Suspect In Murder Cases,” November 5, 1975. 27. The San Francisco Chronicle, “The Gay Killers,” January 20, 1976. 28. The San Francisco Sentinel, “Violence Rises,” September 6, 1976. 29. the San Francisco Chronicle, “The Gay Killers,” January 20, 1976. 30. The San Francisco Chronicle, “Letters To The Editor,” January 29, 1976. 31. The San Francisco Sentinel, “Doodler Suspects,” January 29, 1976. 32. United Press International, “3 Attack Victims Won’t Testify in Unsolved Deaths,” July 9, 1977. 33. 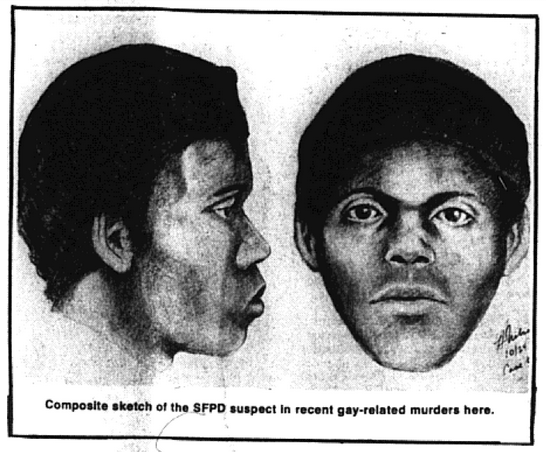 The San Francisco Sentinel, “Straight sought in mass gay slaying,” July 14, 1977. 34. The Associated Press, “Murder suspect free because gays silent,” July 8, 1977. 35. The Weekly World News ran a Doodler item in 1999, which I only mention in the interest of thoroughness. 36. The Crusader, “Police Are Nowhere On “Doodler” Killings,” August 16, 1978.